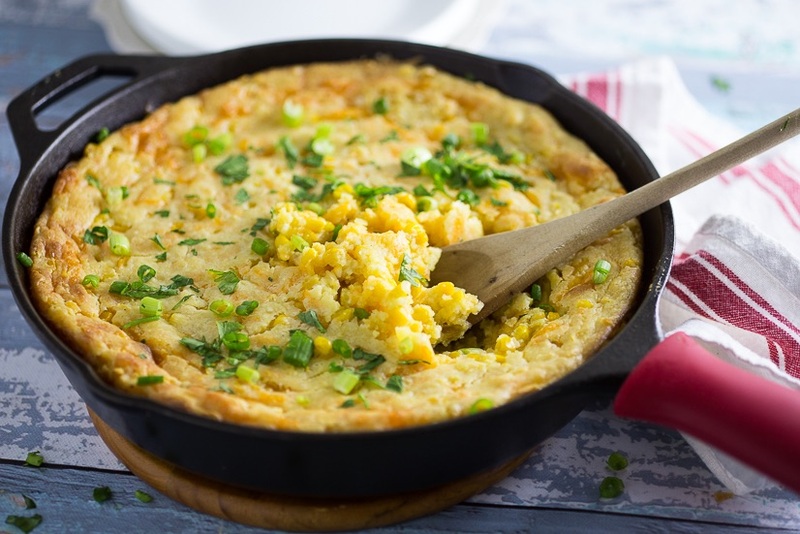 I love savory puddings, especially this spiced up corn pudding from Southern Living! Stir together flour, baking powder and salt in a small bowl. In a separate bowl, whisk together eggs, cream and melted butter until blended. Heat olive oil in a large skillet over medium high heat. Add corn and chopped onion and cook until onion is softened, about 5 minutes. Salt and pepper to taste. Remove from heat and let cool. Stir flour mixture and corn mixture into egg mixture. Stir in shredded Mexican cheese, jalapenos, green chiles and chopped cilantro. Spoon into a 13 by 9 inch greased baking dish and bake for 40 minutes at 350 degrees. Enjoy!